No Drugs! No Operations! 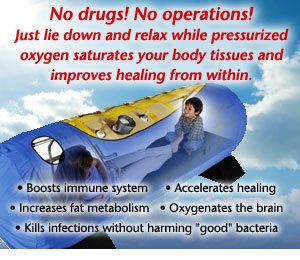 Just lie down and relax while pressurized oxygen saturates your body tissues and improves healing from within. Hyperbaric Oxygen Therapy San Diego is very cost effective, non-invasive, safe, and works well with other treatment therapies. Hyperbaric medicine, also known as hyperbaric oxygen therapy, is the medicinal use of oxygen at higher than atmospheric pressure. Hyper means increased and baric relates to pressure. Hyperbaric oxygen therapy (HBOT) refers to intermittent use as the entire body receives oxygen levels greater than normal atmospheric pressure. Commonly, we breathe approximately 20% oxygen and 80% nitrogen. 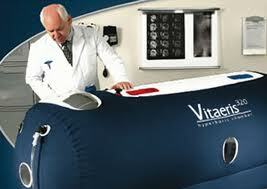 While undergoing HBOT, pressure is increased safely up to as high as 100% oxygen. 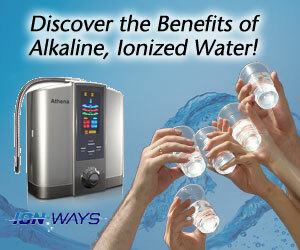 The increased pressure, combined with an increase in oxygen, dissolves oxygen in the blood plasma and in all body cells, tissues and fluids at up to 10 times normal concentration. Essentially, this type of therapy forces oxygen into cells safely and causes metabolic waste to leave cells more efficiently. This improves cellular metabolism as vital oxygen is conveyed to even some of the most obscure and hard to access tissues in the body, including the brain. The medicinal use of hyperbaric oxygen therapy has intrigued many physicians and scientists for decades. Though not new, hyperbaric oxygen therapy (San Diego) has recently gained importance for conditions such as: athersclerosis, stroke, peripheral vascular disease, diabetic ulcers, wound healing, cerebral palsy, cystic fibrosis, autistic spectrum disorders, Lyme disease, some respiratory diseases, add, adhd, brain injury, carbon monoxide poisoning, mold spores, infections, multiple sclerosis, macular degeneration and many other disorders. Additionally, one of the most noted benefits of HBOT is for enhanced and more rapid healing. That is, a person receiving this kind of therapy has their blood plasma saturated with oxygen, resulting in increased and more pervasive delivery of oxygen to their tissues. 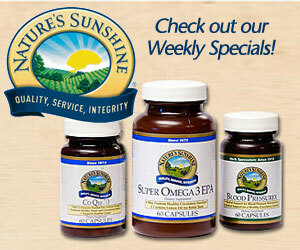 This increased oxygen activity enhances the body’s ability to heal. One of the other exciting uses for hyperbaric oxygen therapy San Diego has been for the use and treatment of autistic spectrum disorders. With the current statistics at 1 in approximately 100 children born in the U.S. expressing some form of autism, from mild to extreme symptoms, there is reason to rejoice when any safe modality has shown to be of benefit. Published studies in leading journals such as the New England Journal of Medicine, document at least 66 known applications for hyperbaric oxygen therapy. Results range from mild to dramatically beneficial. Individuals with cerebral vascular disease commonly recover from complications of stroke more readily after hyperbaric oxygen therapy. This is also true for potentially gangrenous legs and feet, caused by blocked circulation and for slow healing diabetic ulcers. HBOT relieves pain, helps fight infection and keeps threatened tissues alive. One of the worlds most experienced authorities on hyperbaric medicine, Dr. Edgar End, clinical professor of environmental medicine at the Medical College of Wisconsin had this to say: “I’ve seen partially paralyzed people half carried into a hyperbaric oxygen chamber, and then see them walk out on their own after the very first treatment. If we got these people quickly, we could prevent a great deal of damage”. You don’t have to feel bad or have health problems to incorporate hyperbaric oxygen into your health regimen. Some people use this inexpensive type of healing modality to enhance the good health they already have, in order to attain even higher and more optimal levels of health.